Easily, the best place for teaching and learning the IB Psychology course. 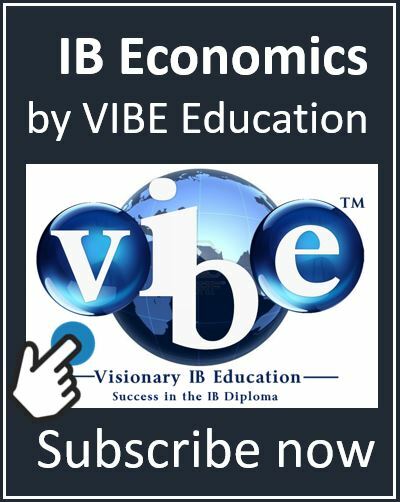 IB Psychology is the only website that is dedicated to delivering high quality study and teaching resources for the IB Diploma Programme Psychology course. Our aim is to enable students and teachers to achieve success in the interesting, rewarding and challenging IB Psychology course. We wish you the very best in your studies. 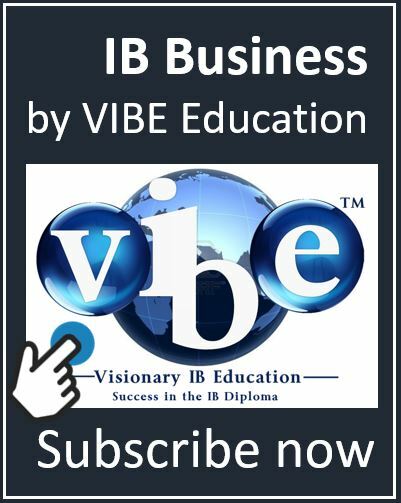 The very best teaching and learning resources have been prepared by a very experienced and highly successful IB Psychology teacher. These interactive digital books are specifically authored for the IB Psychology course and trialed, tested and refined in the classroom by a teacher whose students achieve far above worldwide averages in this challenging course. Each resource is designed to target the most important IB Psychology areas that students usually find difficult. 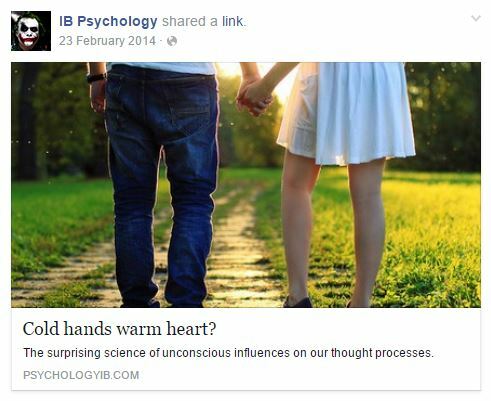 Our comprehensive range of IB Psychology teaching and learning resources include model essay questions, model short-answer questions, the IA, and Paper 3 Research Methods. 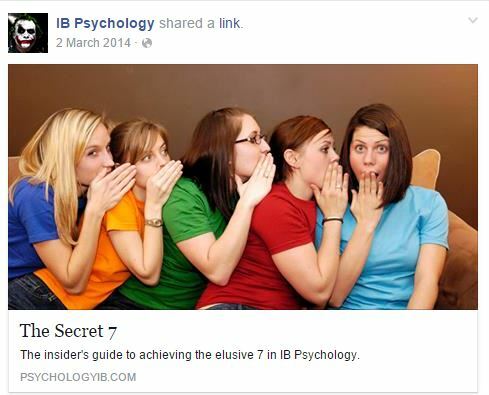 We show you exactly how to get the IB Psychology 7. "Just give me the answers!" Students have long been demanding it, and here it finally is, a complete collection of model IB Psychology answers. There are no surprises in IB Psychology examinations. The exam questions are the learning objectives. PsychologyIB.com recognises this and provides complete model answers across each topic. Every model answer guarantees the student full marks if he or she can learn, memorise and then reproduce these in their IB Psychology examinations. 'Just Give Me the Answers!' provides model answers for ALL examinable essay questions (i.e., the extended response questions - 22 marks each). This digital book is the authoritative and definitive guide to essay questions in Psychology for the IB Diploma Programme. 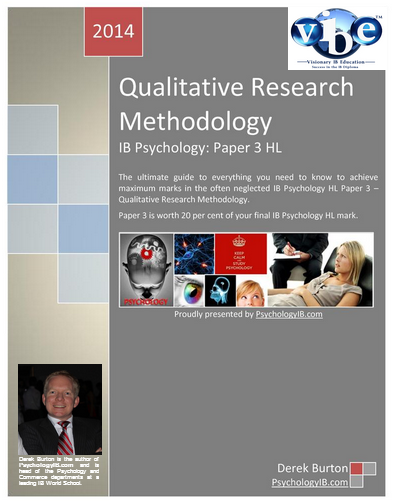 The model IB Psychology answers cover the entire range of essay questions from the Core Levels of Analysis and the two Options, covering both HL and SL requirements. This interactive digital book is a complete collection of model essay (22 marks) answers prepared for all of the Paper 1 and Paper 2 examination questions for both SL and HL IB Psychology. All of the Core topics and both Options are covered. These 270+ pages of model essay answers have been authored by a very experienced and passionate IB Psychology teacher (Head of the Psychology Department at a leading IB World School). This book will save you 100+ hours across the course of your 2 year IB Psychology course and astonish your IB examiners! 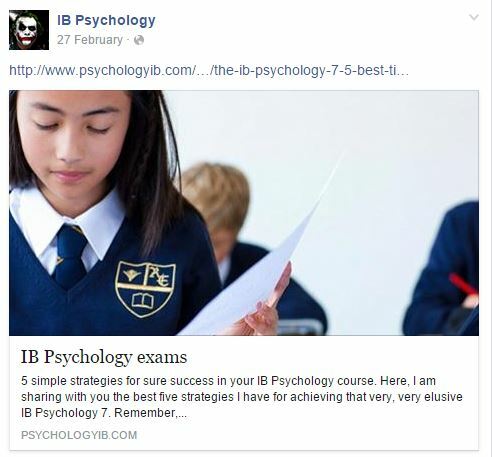 It is very, very difficult to achieve full marks in the IB Psychology essay questions. Here the hard work has been done for you. You can focus on learning the essays, not writing them. You will love this book, guaranteed. The number one complaint of IB Diploma Programme students is that they never, ever have enough time. 'Just Give Me the Answers!' provides exactly that - time! 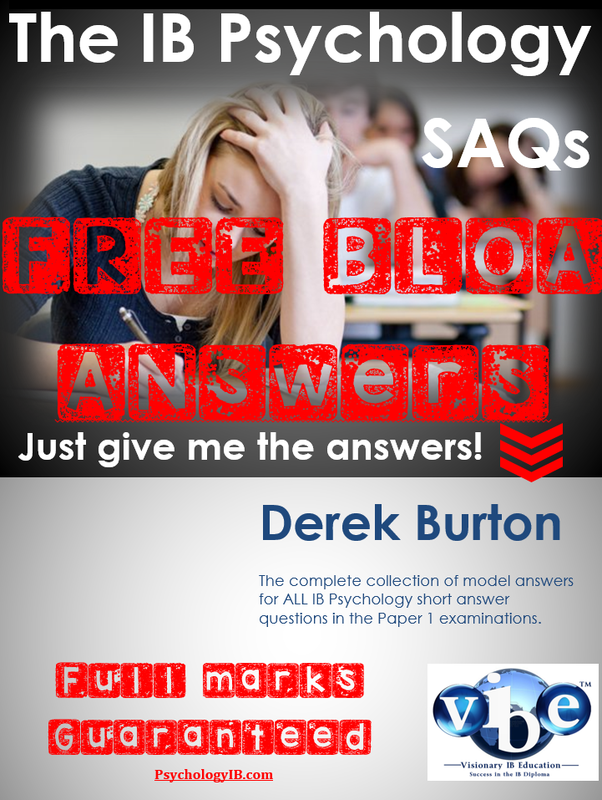 With the model answers provided, the student can now concentrate on learning and memorising the answers for his or her Paper 1 and Paper 2 IB Psychology examinations. Obviously, this fact means that 'Just Give Me the Answers!' 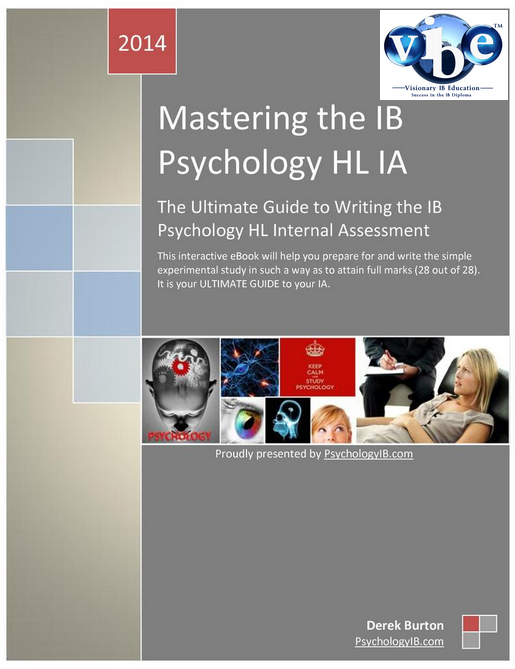 is also easily the best revision guide for IB Psychology on the market today. This digital book is not a simple PDF, it is a premium product, interactive and ideal for use on devices connected to the web (desktops, laptops, tablets and smart phones). Best of all, 'Just Give Me the Answers!' is available immediately. A complete collection of model answers to all of the Short Answer Questions (the three 8-mark questions asked in the Core Levels of Analysis) will shortly follow in another authoritative digital book, published only here, at PsychologyIB.com. Derek Burton is a highly experienced, very successful and wildly passionate IB Psychology teacher and teacher mentor. He has honours (first class) and masters (with distinction) degrees in Psychology. He heads the Psychology and Commerce departments at a leading IB World School.